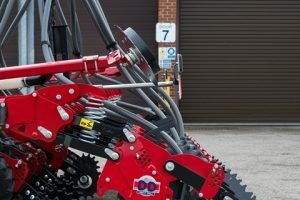 The DD Toolbar system provides a flexible solution to crop establishment by giving farmers and contractors the means of easily operating two very different sowing methods for minimal purchase cost. 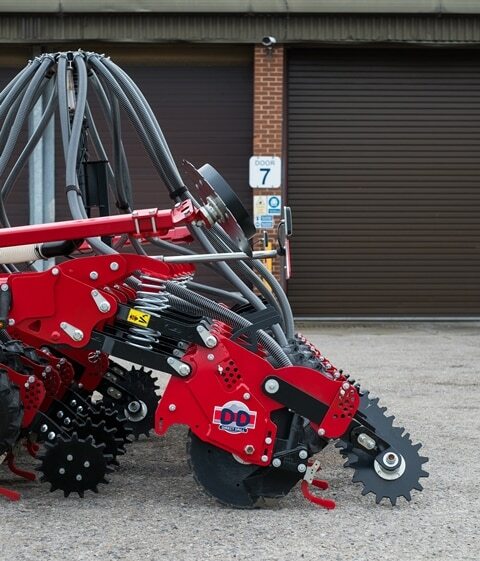 Developed for use in conjunction with a front-mounted hopper, the DD toolbar is an ultra-low disturbance disc drill designed to work into a zero- or no-till seed bed, previous crop residues and cover crops, the design of the system and the action and sequence of the soil-engaging elements providing a well-balanced unit and a consistent seeding depth. 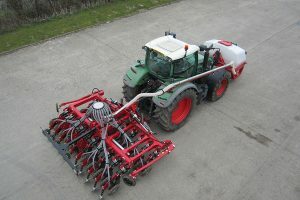 Optional equipment includes a hydraulic weight transfer unit designed to use some of the tractor’s weight to help coulter penetration if and when required. 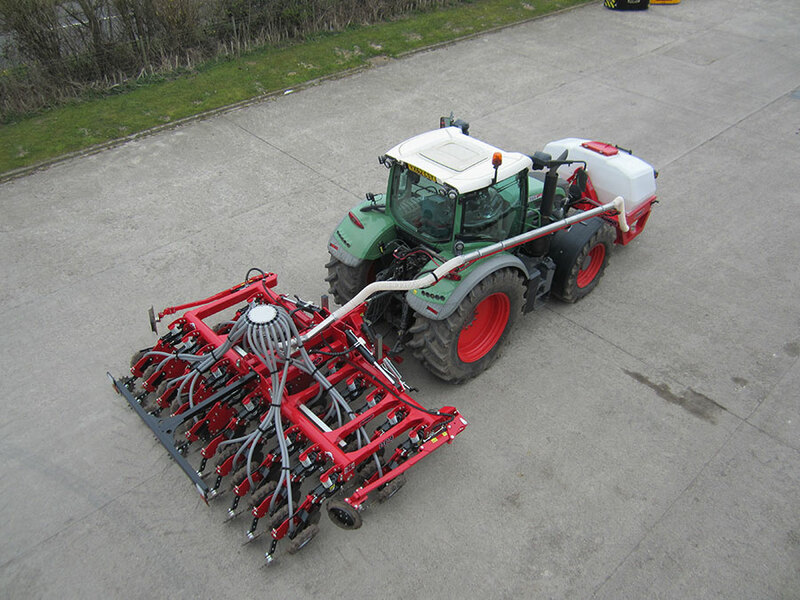 Fully mounted in 3m rigid or 4m hydraulically folding formats to balance out the front hopper. 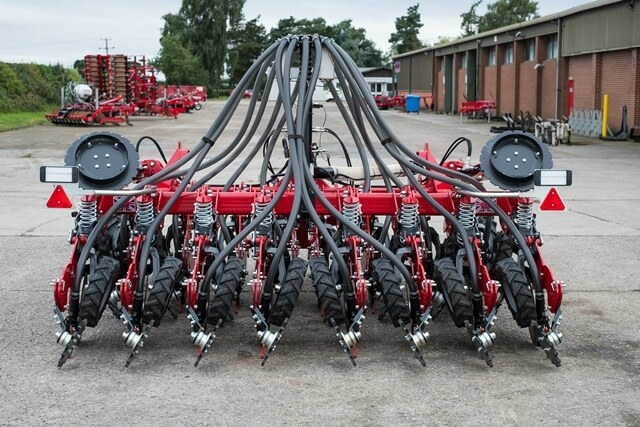 Seeding units mounted on hydraulically pressurised parallelograms that allow for contour following and down force adjustment to provide a consistent sowing depth in differing ground conditions. Single 450mm-diameter disc set at an angle cuts through trash and soil, and opens a trench into which seed is placed. 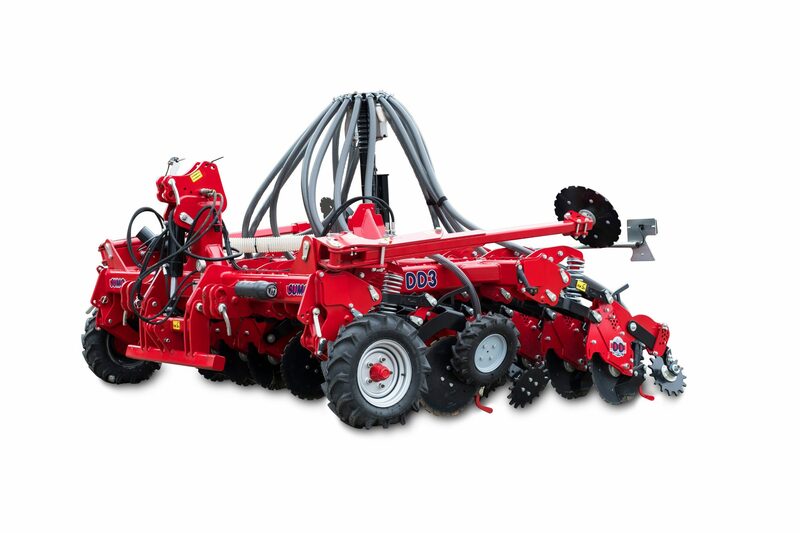 Drilling depth 12 – 200mm with easy manual adjustment. 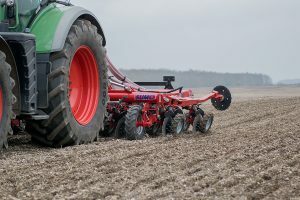 Spiked wheel breaks trench wall, covers seed with soil and firms seeding area. 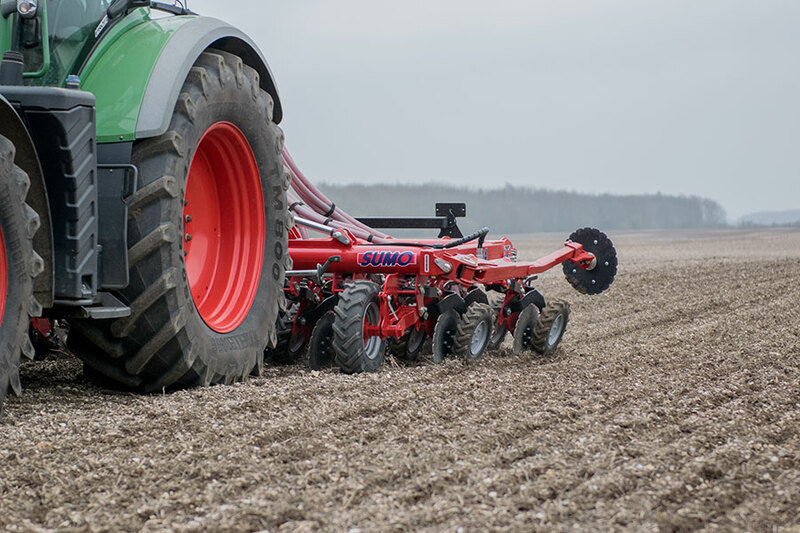 Row spacing 187.5mm and 200mm. 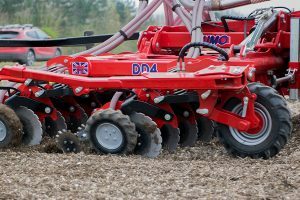 Seeding elements on DD 4 (4m) model fold vertically for road transport.